Measuring Advice, Examples and Tips. We really are nice people and really do want you to order your made to measure frames and mounts in the correct size and be completely satisfied. It is assumed that anyone ordering from us is familiar with using a tape measure and has a basic knowledge of what a picture frame/mount is. We are happy to provide basic information to assist in placing an order on our website. However, we are unable to provide specific/detailed framing advice over the phone or via email as there are too many factors to be considered and we cannot risk any advise being misinterpreted. 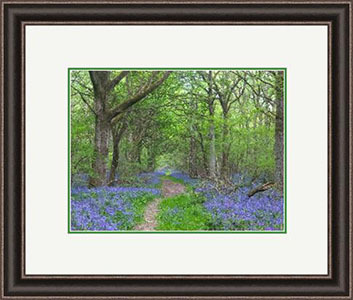 If you are unsure ask us first or visit a reputable local picture framer. Measuring the size of your artwork. To order picture frames and mounts on our website you are required to enter the 'Artwork Size' of the item you require framing. The artwork size is the size of your artwork after considering how it is being framed and whether it needs to be trimmed or cropped. Please see the example scenarios below that should help. My image is printed from edge to edge of the paper, and I want to see as much as possible. Your artwork size will be the exact outside width and height of the image. My image is printed on paper but I only want to see part of the image. Your artwork size will be the exact size of the section you want to see. My image has it's own border that I want to see. My image has it's own border that I DO NOT want to see. Your artwork size will be the exact width and height of the printed area. My image has already been mounted. Your artwork size will be the exact outside width and height of the mount. My image is a stretched canvas picture. 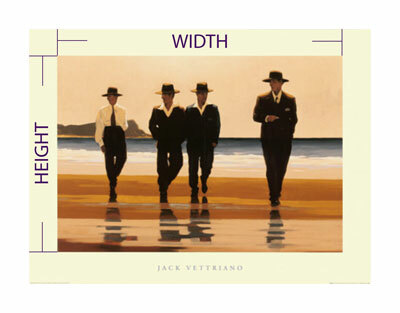 Your artwork size will be the exact width and height of the canvas at it's widest point. Understanding picture frame and mount sizes. During the order process our website will detail the following size information based on your selections and the sizes you enter. Understanding what the detailed sizes relate to makes understanding the whole measuring and ordering process much easier to comprehend. 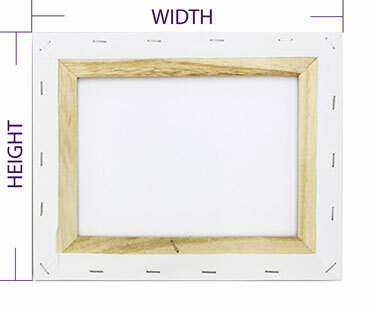 The frame size will be detailed in your order if you have selected a picture frame and ALWAYS relates to what fits inside the frame such as the glazing and backing. It NEVER relates to the visible area from the front of the frame and it NEVER relates to the external size of the frame. The same would be true for virtually any picture frame purchased anywhere in the UK and beyond. For example, if you went to any High Street retailer to buy a picture frame for a 400 X 300mm print, you would need to pick one that said 400 X 300mm on the paper insert inside the frame. You would find your 400 X 300mm print fitted perfectly into the back of the frame as the size relates to the inside of the frame at the back. 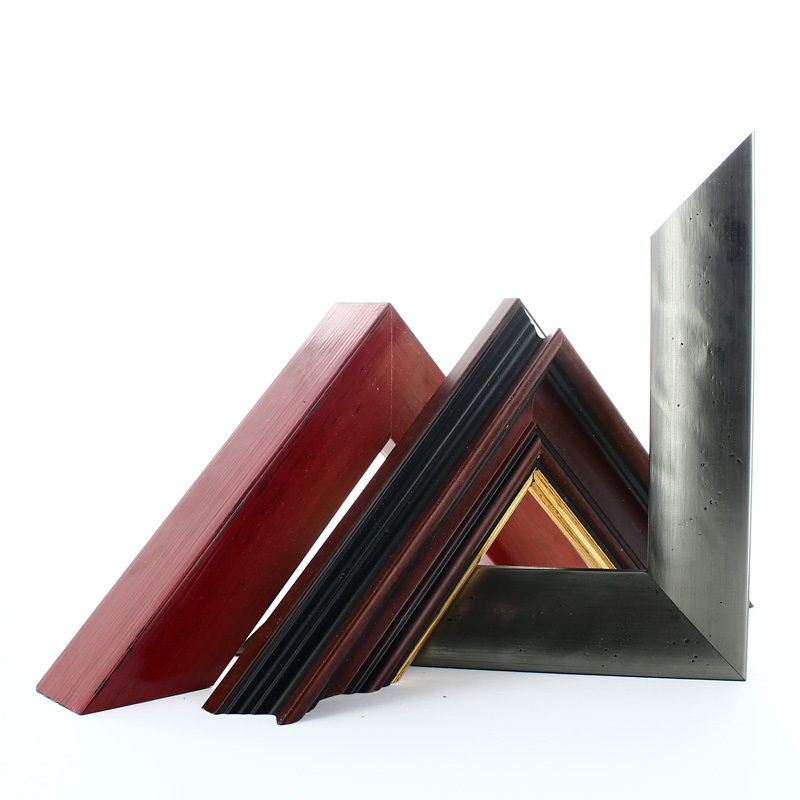 Every frame does have a lip/rebate that will overlap the glazing and artwork by approximetely 5 millimetres on each edge to ensure the contents do not fall out. The lip/rebate will make the visible area from the front approximately 10mm smaller than the frame size. The frame opening will include a 1-3mm allowance to ensure the backing and glazing can be removed when fitting your artwork. The external mount size will only be detailed if you have ordered a picture mount with no frame. This size relates to the outside measurements of the picture mount. 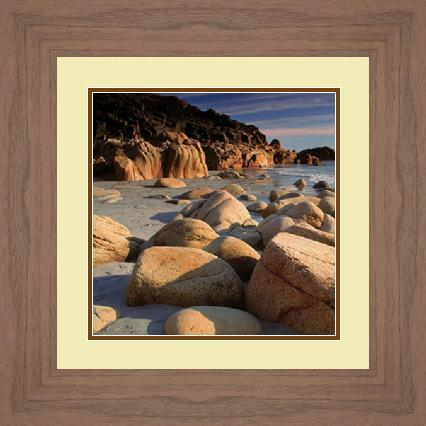 If you are ordering a picture mount to go into a picture frame purchased separately, the external mount size should match the frame size of said picture frame. 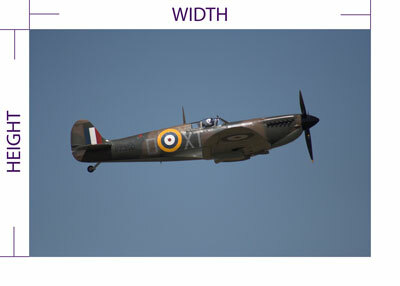 The image size will be detailed in your order if you have selected a picture mount. By default this will be 'To Take Image Size...' and will mean the opening of the mount will be slightly smaller than the image size to ensure it doesn't fall through the opening, i.e. the mount will take an image size of .... For example, if you enter your image size as 500 X 400mm, your order details will include 'To Take Image Size 500 X 400mm. The physical opening of the mount will be 496 X 396mm so that the mount just overlaps your image size of 500 X 400mm. Our website does offer advanced options when purchasing mounts including the option to have the mount opening cut to the exact size entered. If you select this option you order details will include 'Exact Image Size .....' and the mount opening will be cut to the exact size you have entered. Please remember it is vital the measurements you supply are correct as custom made frames and mounts are not eligible for a refund or exchange as they cannot be resold. Follow these tips to help prevent mistakes. 1 Always use a proper tape measure, avoid using a fabric tape measure or a ruler. 2 Measure each dimension twice to double check for errors. 3 Have a pen and paper handy to note down each measurement. 4 DO NOT rely on measurements from third party websites - measure everything yourself. 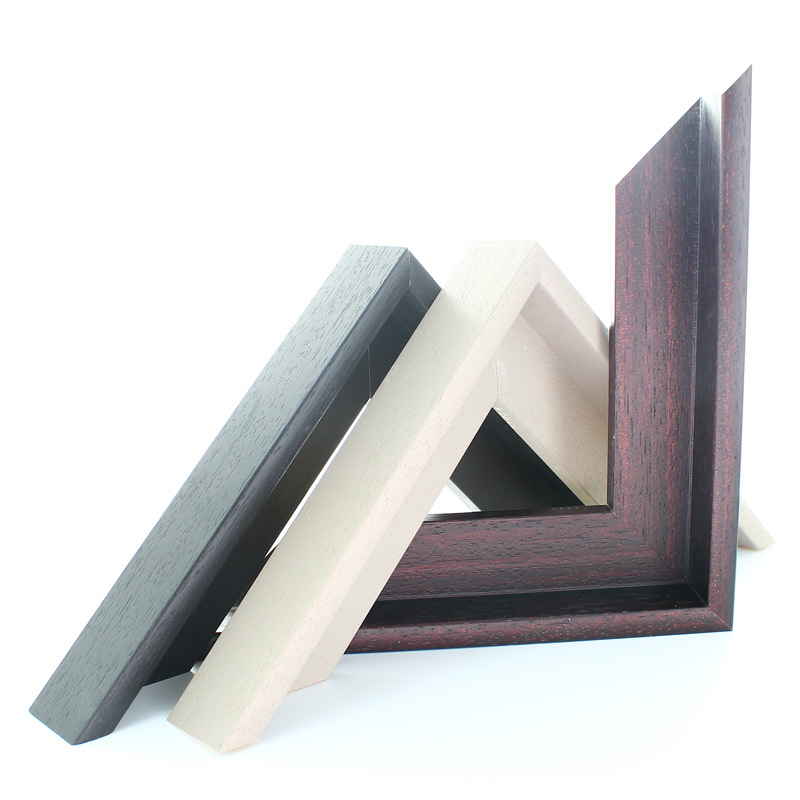 Ordering different types of frames and mounts. Details of how the artwork size you enter relates to how we manufacture specific framing types and combinations. 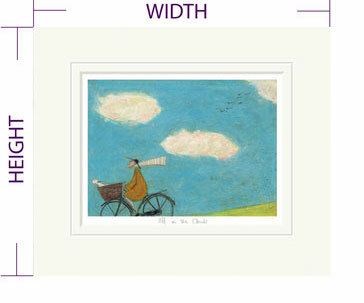 Enter your artwork size into our website and select a suitable picture frame. We would manufacture your frame so artwork measuring the size entered will fit into the opening at the back of the frame. So if your artwork measures 320 X 470mm, you would enter 320 X 470mm as your frame size - Easy! * The actual opening size of the frame will be approx 1-3mm bigger than the stated size to allow for a small amount of movement. ** The lip/rebate of the frame will overlap the artwork by approximately 5mm on each side. 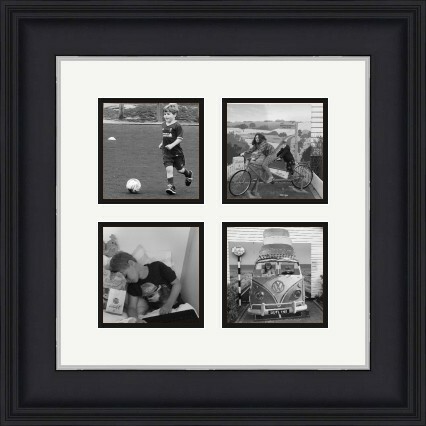 Enter your artwork size into our website and select a suitable picture frame and mount combination. 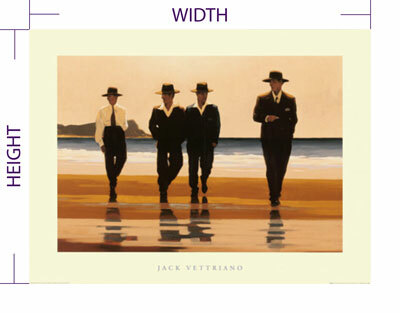 So if your artwork measures 250 X 190mm, you would enter 250 X 190mm in the size fields. We would manufacture the mount with an actual aperture of 246 X 186 so that it justs overlaps the image to allow it to be positioned correctly. 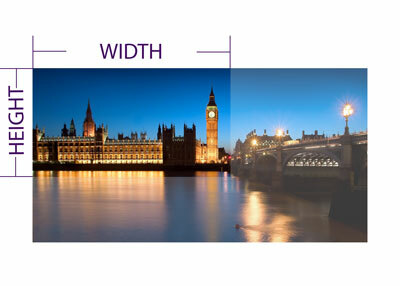 If you do not want us to make our standard 2mm adjustment on the border widths you can select the 'Cut aperture the exact size' advanced option during the order process. Doing so will mean the opening will be cut to the exact artwork size specified. The frame size will be calculated by our software and depends on how wide you set the mount borders. If you are purchasing a mount to fit a frame brought elsewhere you need to know the frame size(the glazing/backing size) of your current frame as well as the size of your artwork. Simply enter the exact sizes of your artwork into the internal size fields. You then have the option to enter the width for each side of the mount, top, bottom, left and right. You will need to calculate manually how wide the mounts need to be to fit your frame opening size. Please ensure the "External Mount Size" measurements on your order review match the actual opening size of your own frame from the back. We will make a small 2mm adjustment to each mount width to ensure the artwork doesn't fall through the middle of the mount aperture.. So if you artwork measures 250 X 190mm, you would enter 250 X 190mm in the size fields, we would manufacture the mount so the actual aperture would be 246 X 186. This ensures the artwork doesn't fall through the mount opening. 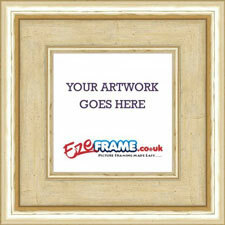 A canvas floater frame is manufactured to the artwork size you enter plus a 2mm movement allowance. If you would like a slightly wider gap between the floater frame and the edge of your canvas you must increase the size accordingly. 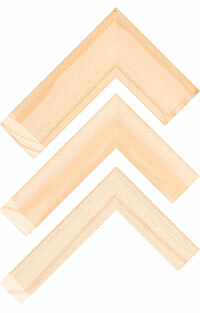 Our recommendation would be to measure your stretched canvas and add 10-20mm to each dimension. This will allow suitable movement and space the canvas away from the edge so it appears to float. 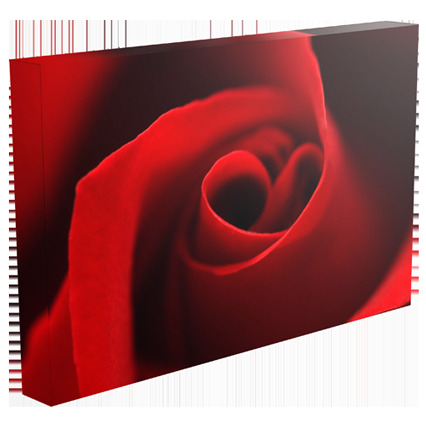 You should also note the internal depth of the canvas floater frame which is detailed within the product description, and ensure this is suitable for the thickness of your canvas. It is perfectly normal for the thickness of your canvas to be slightly more or less than the internal depth of the frame. 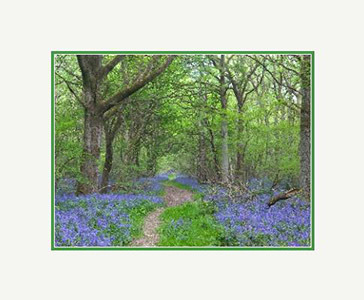 Our range of canvas picture frames are normal picture frame with deeper rebates, and are supplied without any glazing or backing. When measuring your canvas it is important to not presume that it will be square. Measure each outer edge of the stretched canvas, i.e. top, bottom, left and right, and use the larger of the two measurements(if there is a difference) when calculating the size you enter into our website. You should also consider any folded over canvas in the corners that will may also need to be allowed for in your measurements. We will manufacture the canvas picture frame so that a stretched canvas measuring the sizes entered will fit perfectly into the opening at the back of the frame. A canvas stretcher bar assembly will be manufactured so the external size is within 0-2mm of the sizes entered. Stretching a canvas is considered a job that should only be carried out by someone with the experience and equipment to do so. Any such person should understand how to measure a canvas to calculate the size they need to order, taking into consideration any bleed or wrap around required.